Over the years I have guided groups ranging from 5 people to over 40, some tours lasted a single day and some bus tours lasted a full week. These groups consisted of people from all ages, including veterans and school children. For groups of up to 8 people the minibus is not included in my fee and the price to hire one has to be quoted to you. 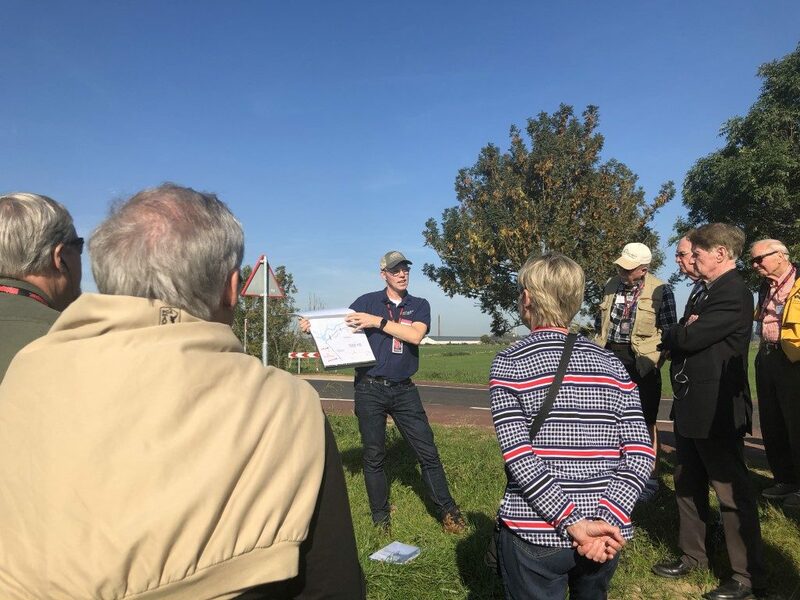 I have worked with groups of serving soldiers on a battlefield study where the focus was to gain insights into the strategic and tactical level of Market Garden. Since early 2018 I’ve been the guide on a number of Easy company themed tours for a large museum in the United States. These tours start for me in the Market Garden area, then on to Bastogne Dachau and Berchtesgaden end in Zell am See (Austria). On request I can make reservations for lunches and coffee breaks at locations I know and trust, this way I can deliver a full package to give you peace of mind. Please contact me to discuss possibilities and how I can help you make the most of your tour.